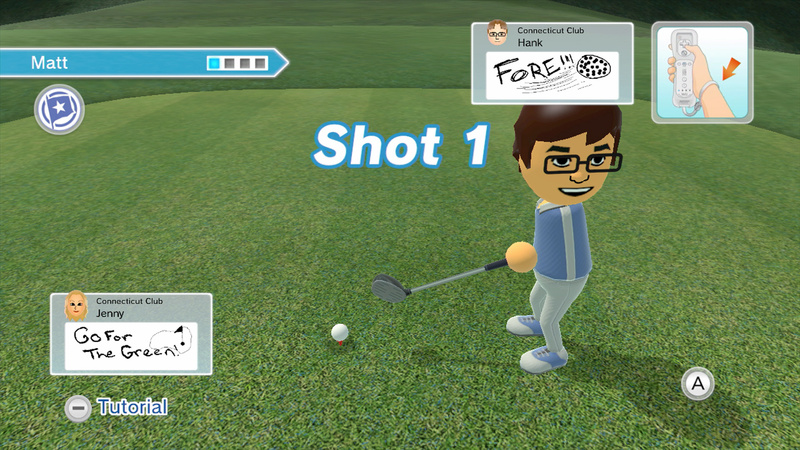 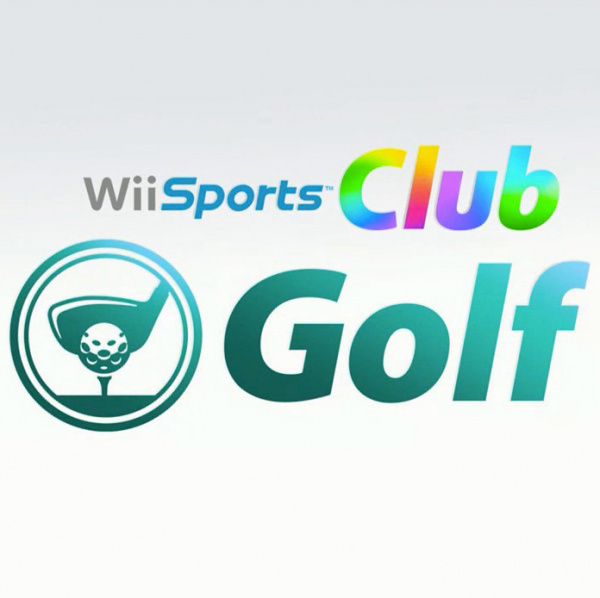 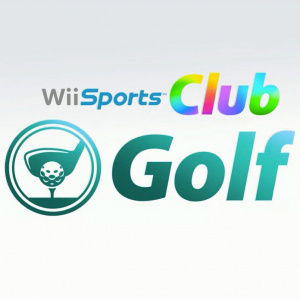 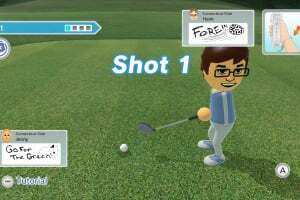 Wii Sports Club – Golf features unique controls using the Wii U GamePad and Wii Remote Plus controllers. 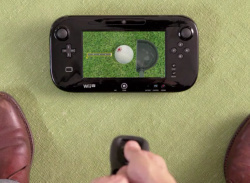 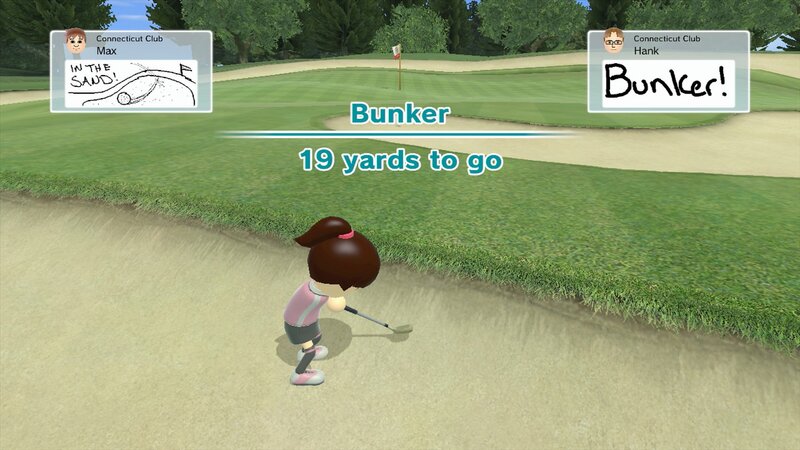 By placing the GamePad on the floor, players can see the golf ball they are about to hit on the GamePad screen. 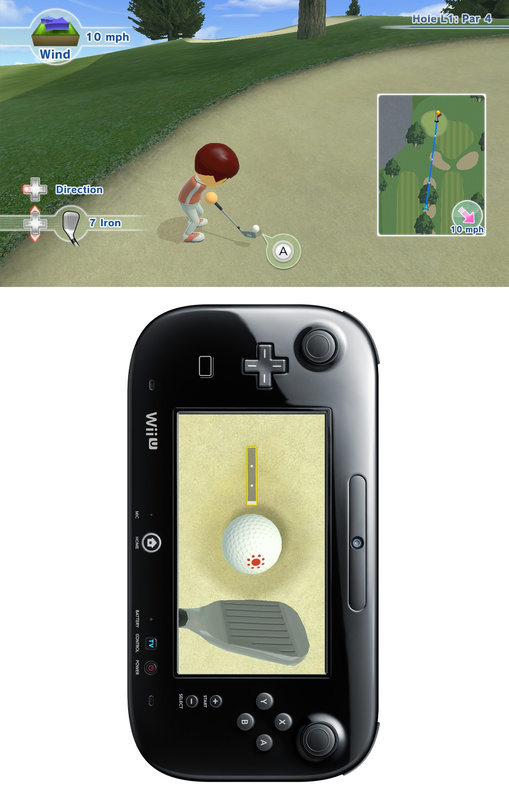 The golf ball will even be sitting on the same surface that it is in the game (fairway, sand trap, rough, etc.). 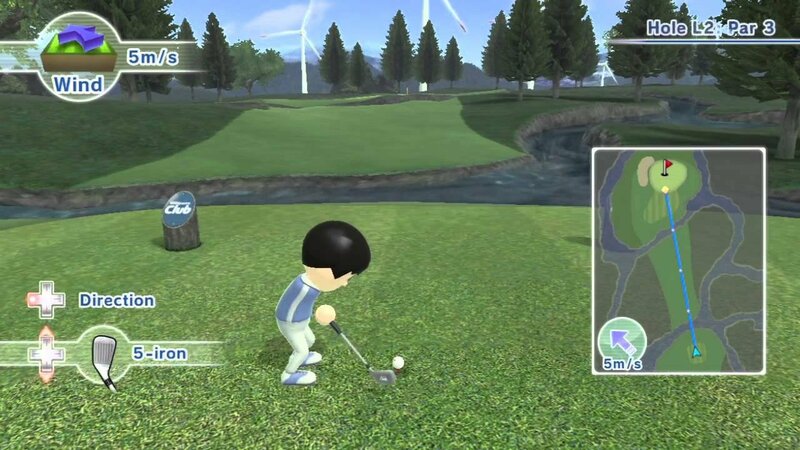 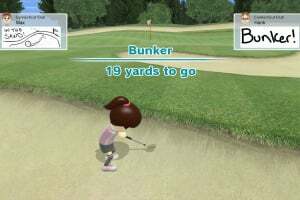 After players swing their Wii Remote Plus controllers like a real golf club, the ball will fly from the GamePad screen to the main TV screen and onto the virtual course. 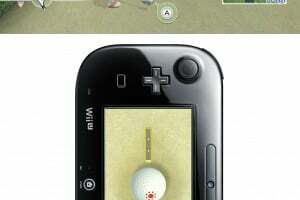 This creative integration of the GamePad evokes the same “Cool! 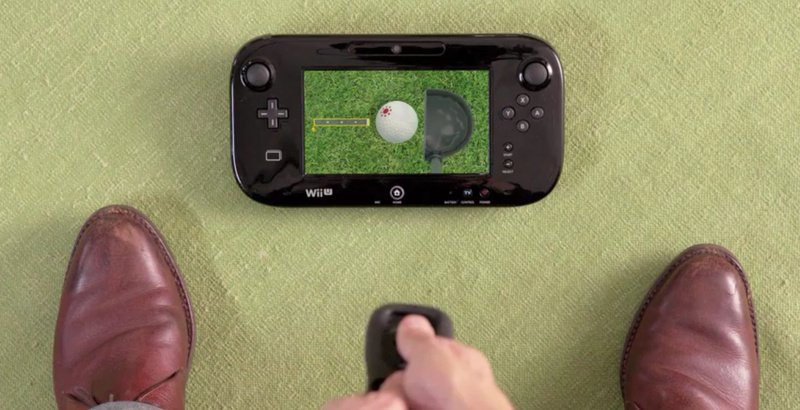 I have to try that!” feeling elicited by the original Wii Sports. 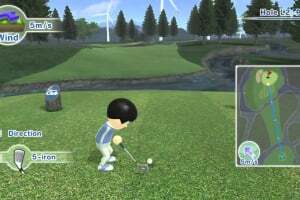 Um, when in December does Golf come out?